With the rich industrial expertise and talented workforce, we are instrumental in providing a quality assortment of 24 Volt traction Battery. These are strictly checked under the guidance of quality controllers before final dispatch to patrons end. We manufacture all sizes and standards of Stationary Plates, Monoblock Cells and Batteries. We also manufacture Traction Battery Plates, Monoblock Cells and Batteries. All these are manufactured as per DIN standards and we also manufacture these as per the BS standards. Backed by profound experience of our experts, we are an unparalleled name engaged in offering high quality assortment of Traction Batteries. Superior & Reliable Performance makes Luminous brand Traction-Motive Power Battery a Better Choice for Heavy Duty application in the Material Handling Industry. The batteries are made in the state-of-the-art manufacturing facility. 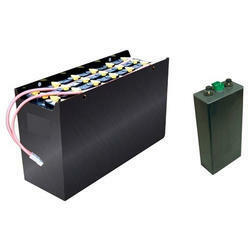 Our organization is indulged in offering Traction Battery to our clients. Available in customized specifications, our fraction battery is widely demanded by clients belonging to various industries, owing to their high performance and durability. a well established modern battery manufacturing facility with a fully equipped chemical and electrical laboratory at peenya, bangalore. 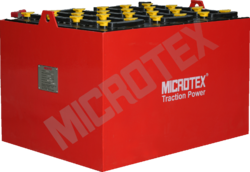 We have emerged in offering our valuable customers a wide array of Traction Batteries. This range of batteries is offered in different forms and specifications in accordance with the emerging requirement of customers. These batteries are known for their low maintenance, noiseless operations, easy handling and precision design. We have set new world standards in battery technology through our focus on excellence, commitment and reliability.Over the years , Exide batteries have become the driving force in principal economic sectors globally.